TIP: As you go about your life and run your business challenges will pop up. Some of those challenges could cause frustration and STOP from moving forward and reaching your goals. There is no need for you to feel confused or disappointed and concerned that you won't realise your goals. Failure is not an option when you surround yourself with positive in-put. I want to support you on your entrepreneurial journey, that's why I've created a newsletter filled with inspiring and useful tips and strategies to move your forward. 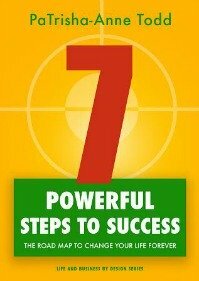 Go ahead and claim your copy now, complete the form below and begin your journey to success. With purposeful coaching and application of all that you learn you can turn any idea into a truly positive outcome. You can begin by checking out my latest book do is get a copy of our ezine and feed your core belief system with positive forward moving coaching.